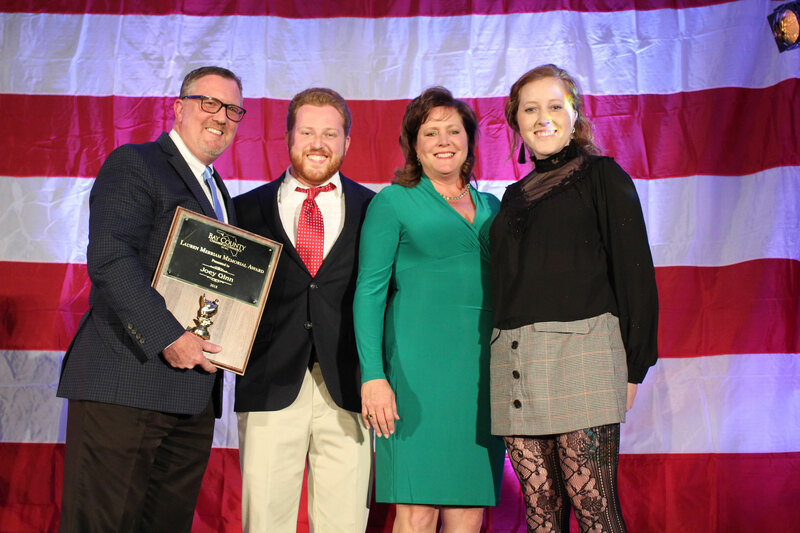 The Bay County Chamber of Commerce held its 2019 Annual Dinner and Awards Ceremony January 25 at Edgewater Beach and Golf Resort. 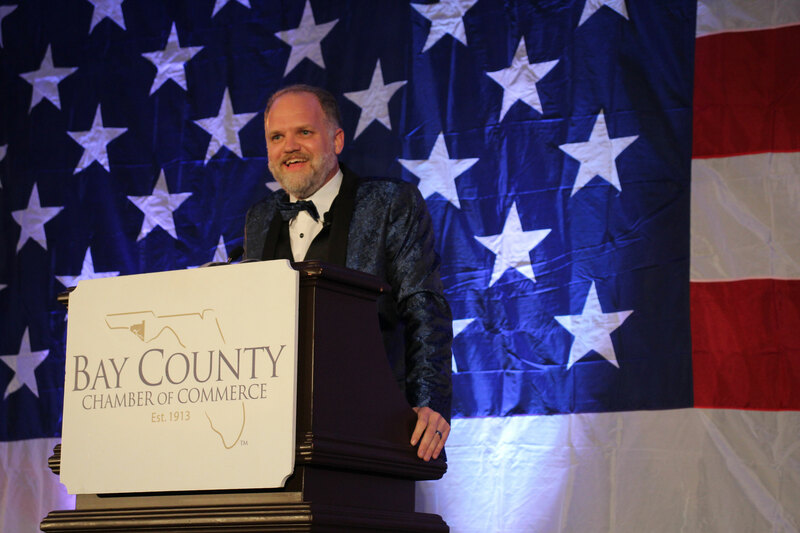 Bay County Chamber of Commerce President/CEO said this event is one of the most important events of the year for the Chamber. 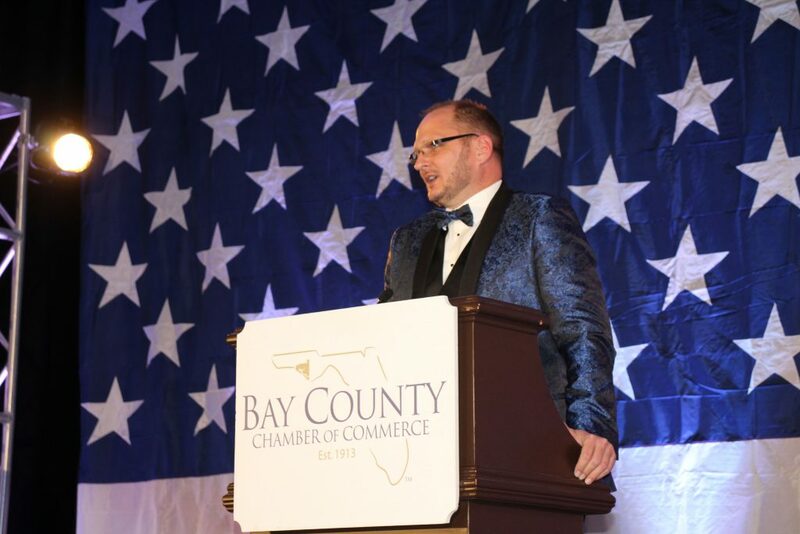 The event began at 5:30 p.m. with a social and silent auction benefiting Junior Leadership Bay (JLB), a program of the Bay County Chamber of Commerce. 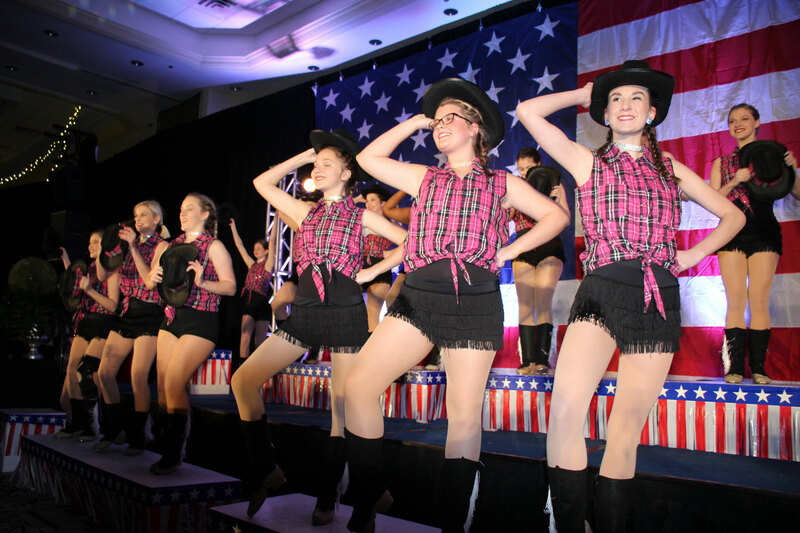 JLB prepares Bay County’s youth and future business leaders to meet the challenges facing our area through hands-on activities and exciting discussions involving community leaders and motivational speakers. 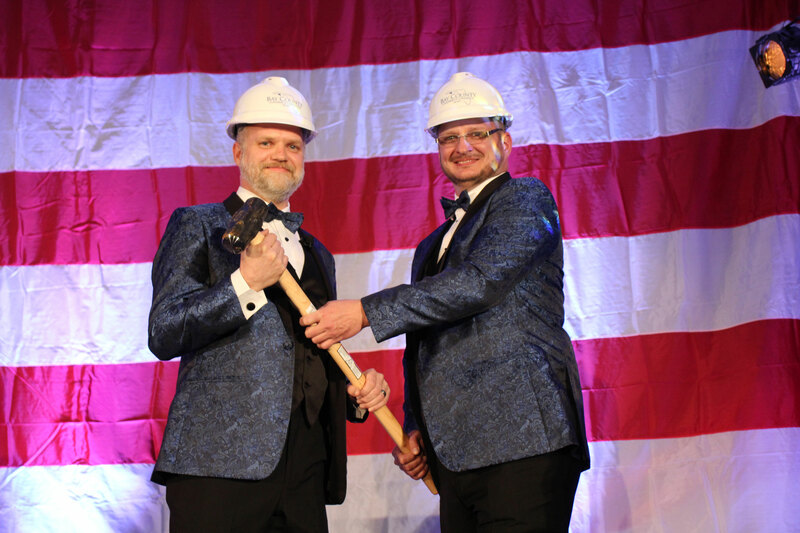 The event continued at 7:00 p.m. with the main event, where nearly 775 community leaders and numerous elected officials gathered to celebrate the Chamber’s successes of 2018 and to honor the outgoing Chair of the Board, Doug Moore of The Panhandle Group. 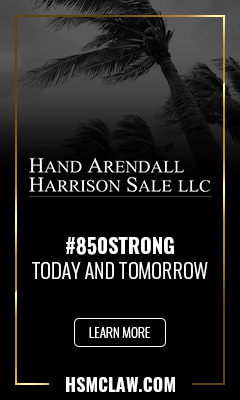 Franklin Harrison, Founding Partner at Hand Arendall Harrison Sale, served as the Master of Ceremonies for the evening. 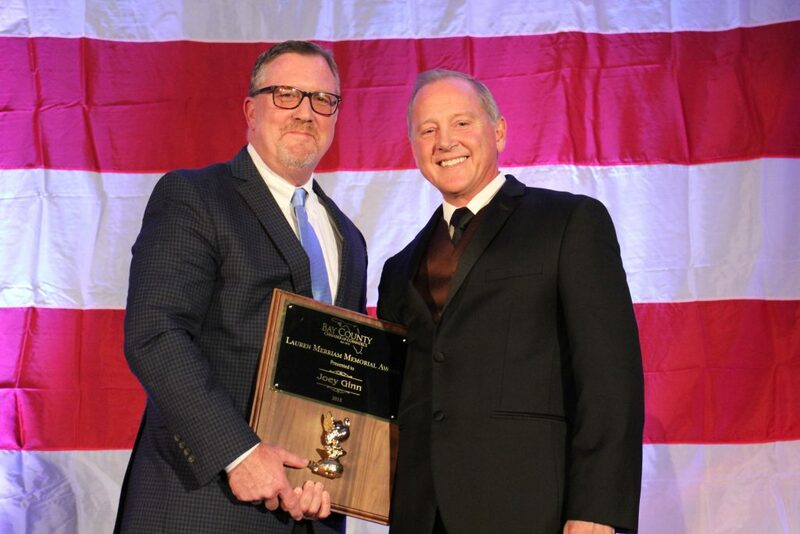 Moore passed the gavel to 2019 Chair, Will Cramer of Bill Cramer Chevrolet Cadillac Buick GMC. 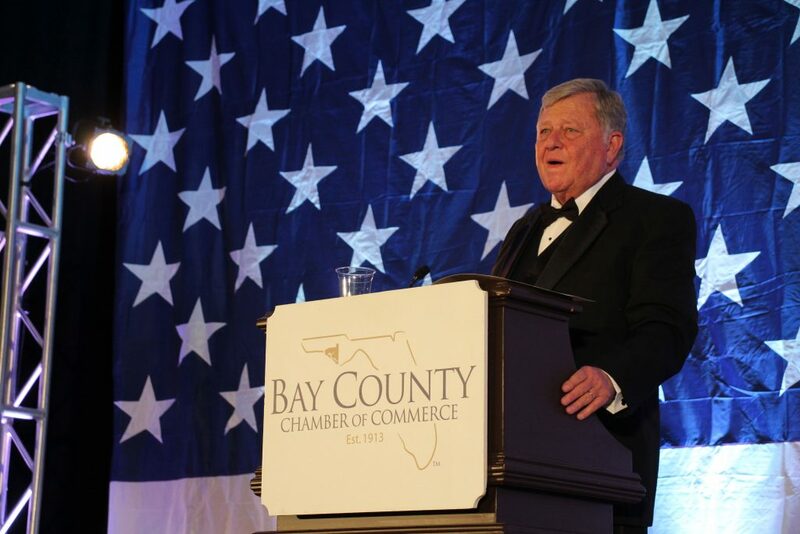 In his closing remarks, Moore stated he never thought he would be addressing a crowd of this size as an outgoing Chair of the Bay County Chamber Board of Directors when he first arrived to Bay County nine years ago. 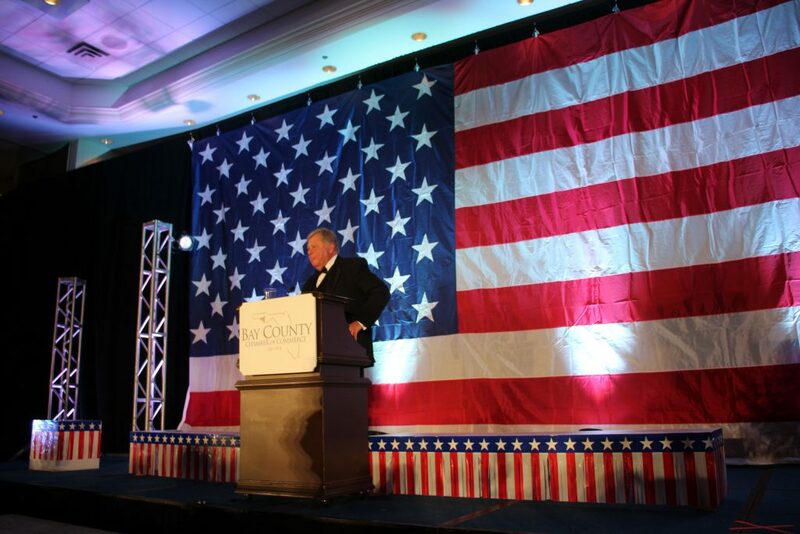 Moore’s term as chairman included many successes such as – ensuring legislation that safeguarded bed tax money from use on infrastructure; reducing the Business Rent Tax; ensuring the Panama City Federal Court House stayed in Bay County; working with several cities and the county to secure the services of NextSite, LLC to promote areas on the east side of the County for redevelopment; and last but not least, working at the Bay County Emergency Operations Center during Hurricane Michael as the Liaison Officer. 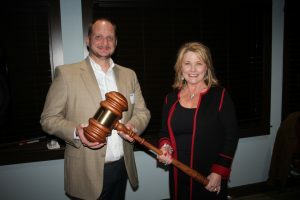 2018 MAC Chair Claire Sherman passes the gavel to 2019 MAC Chair Doug Moore. Also being honored at this event was the outgoing Military Affairs Committee (MAC) Chair, Claire Sherman of Lamar Advertising. 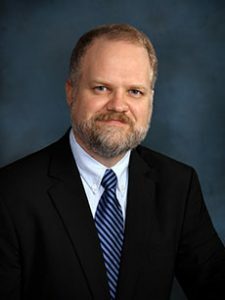 Sherman was the 2017 Chair of the Board of Directors before becoming the 2018 MAC Chairman. 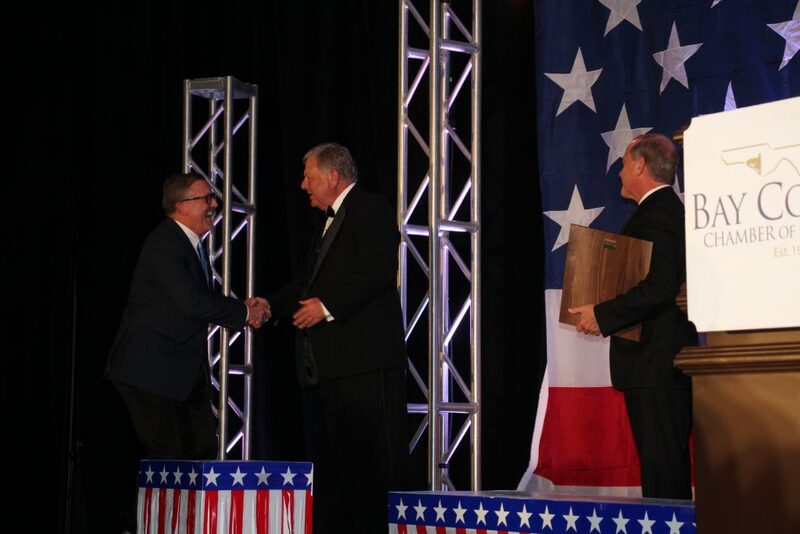 Sherman officially passed the gavel to Doug Moore who took over as the 2019 MAC Chairman on Tuesday, January 17th at the MAC Passing of the Gavel. 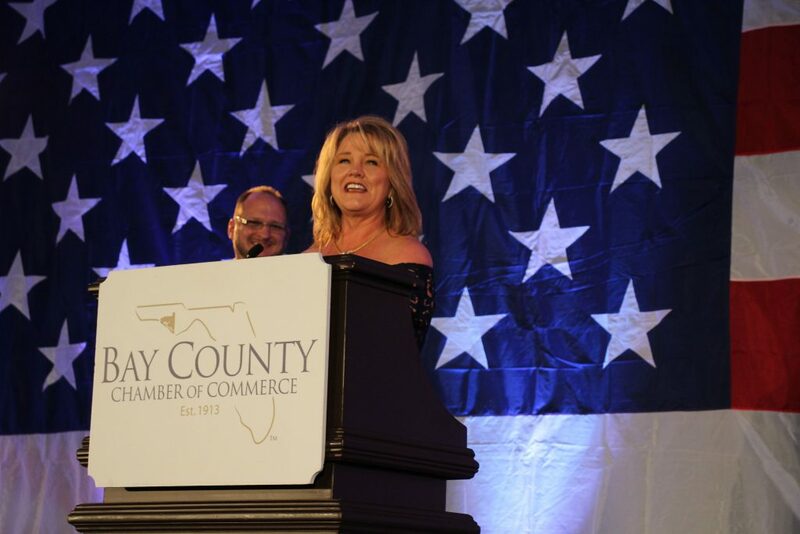 During the event, Sherman commended the work of the local military installations of Bay County, stating had it not been for them, there would be no reason for her to serve as MAC Chair. 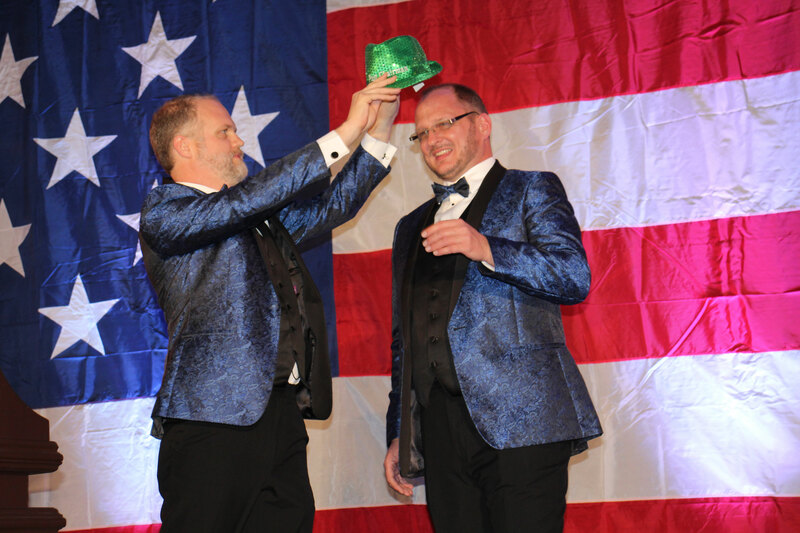 Each year the Chamber recognizes an outstanding member with its Member of the Year award. Bob Majka, County Manager of Bay County, was announced as the 2018 recipient. 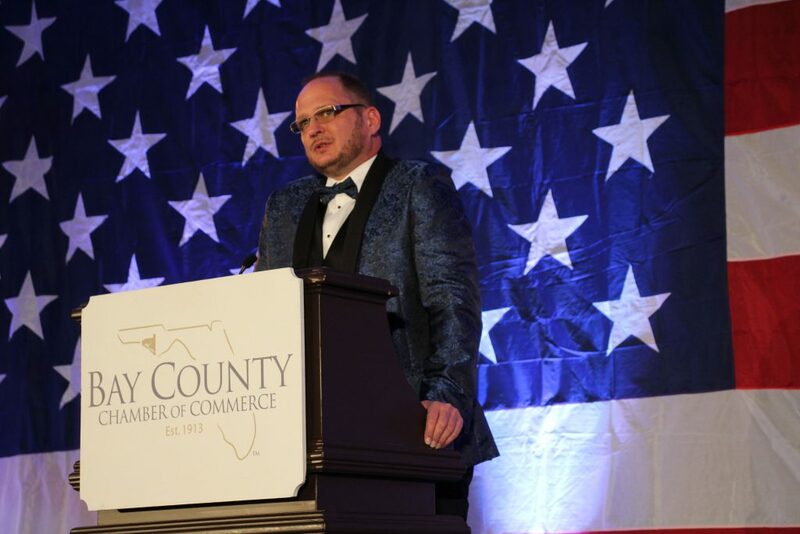 Doug Moore, 2018 Chair of the Bay County Board of Directors, introduced Majka as the recipient stating he was top of mind from the very beginning. 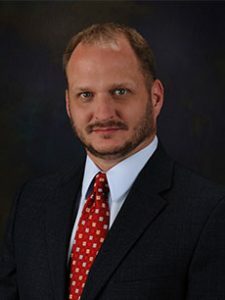 Majka has been involved in many projects aimed at bettering the community, including presenting the solution to save the federal courthouse in Panama City, being involved in the community’s partnership with NextSite for the benefit of both new and existing businesses in Bay County, as well as working to maintain the County’s fiscal discipline. 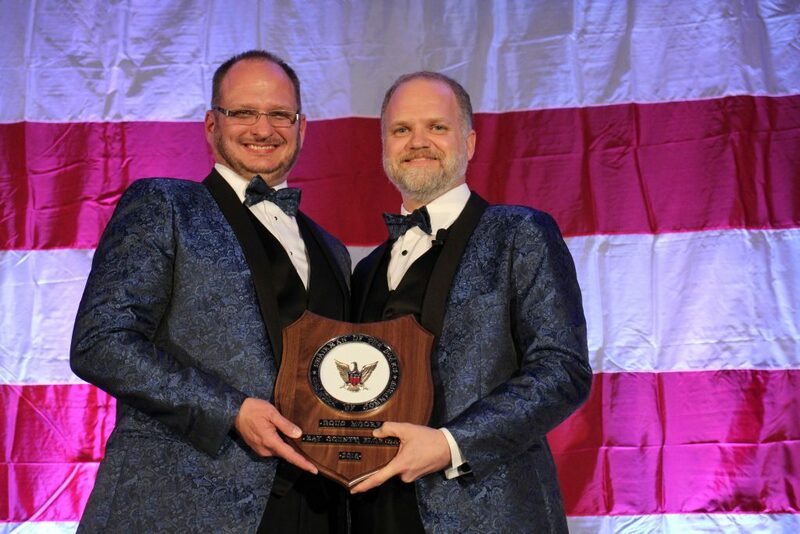 The Chairman’s Award, of which has only been awarded on five other occasions, is given only when the Chair of the Board of Directors feels there is someone (or group) that has been especially impactful in a way that is outside the realm of normal operations of impacts in our community. 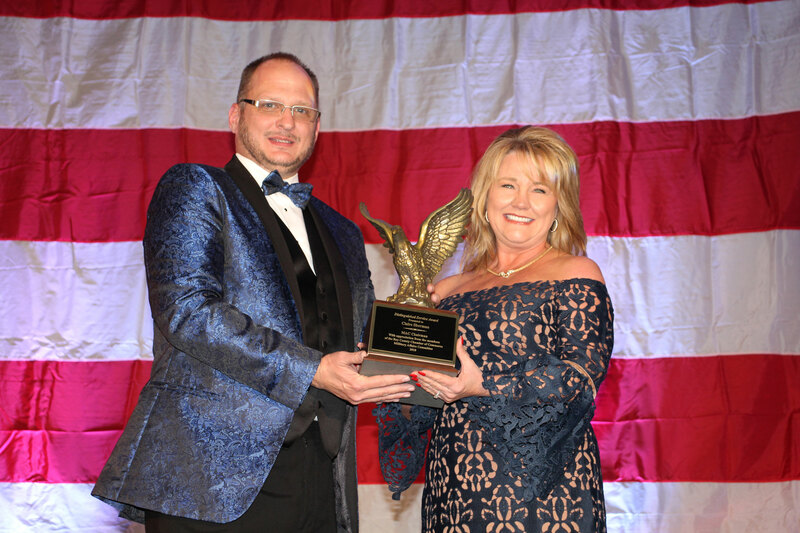 Stan Connally, Executive Vice President of Operations at Southern Company (formally Gulf Power), was announced as the 2018 recipient of the award. 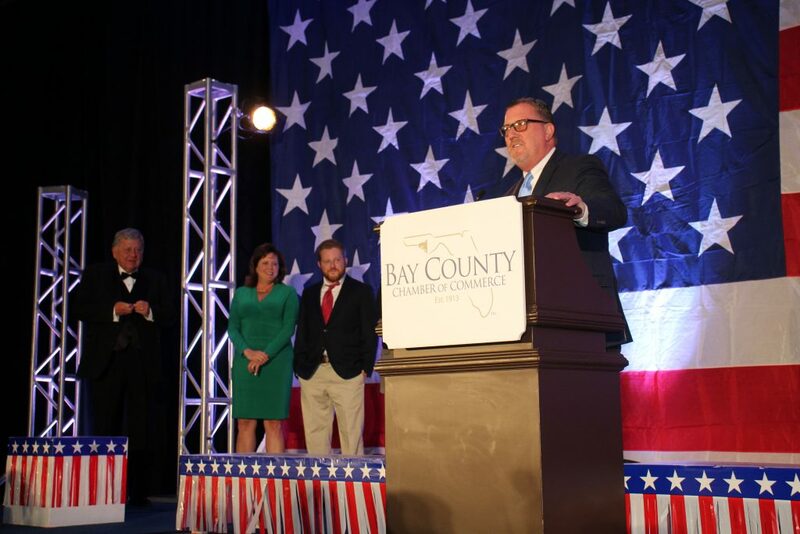 Doug Moore, 2018 Chair of the Bay County Board of Directors, introduced Connally as the recipient, stating he did not waste any time exhibiting visionary skills in assessing the potential of our region and paving the way towards making Bay County a growing, thriving competitive hub for business development. 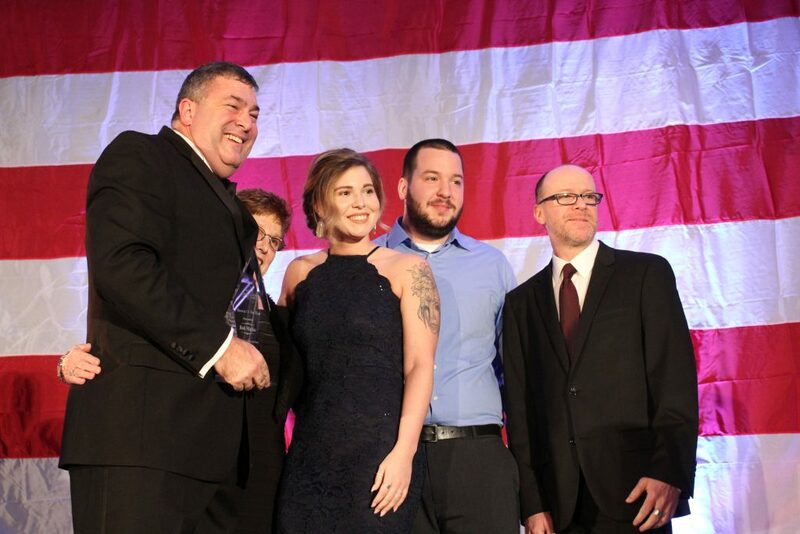 The last award of the night was the Lauren Merriam Memorial Award, the Chamber’s highest honor. 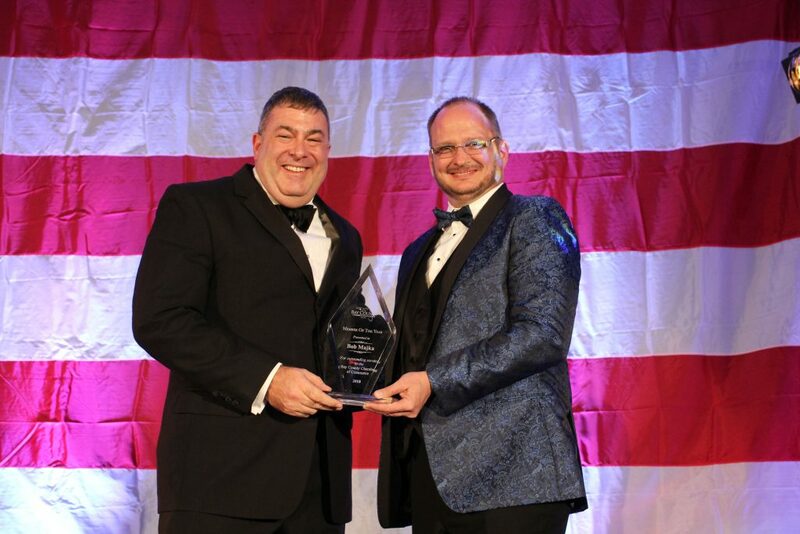 Glen McDonald (who was the 2011 recipient of the award), presented the 2018 award to Joey Ginn, who was chosen for this award for his heart and love for all that is Bay County. 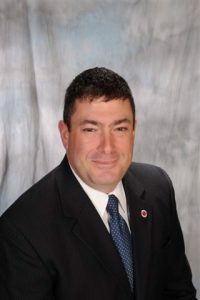 He has served on multiple boards, including Chair of the Bay County Chamber of Commerce Board of Directors, Economic Development Alliance, United Way and American Red Cross to name a few. 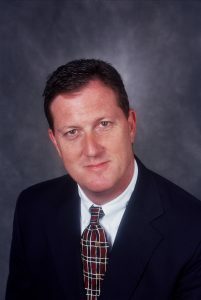 Despite holding a number of serious positions, McDonald said Ginn was chosen for his sense of humor, a trait considered in earnest each year when a recipient is selected. 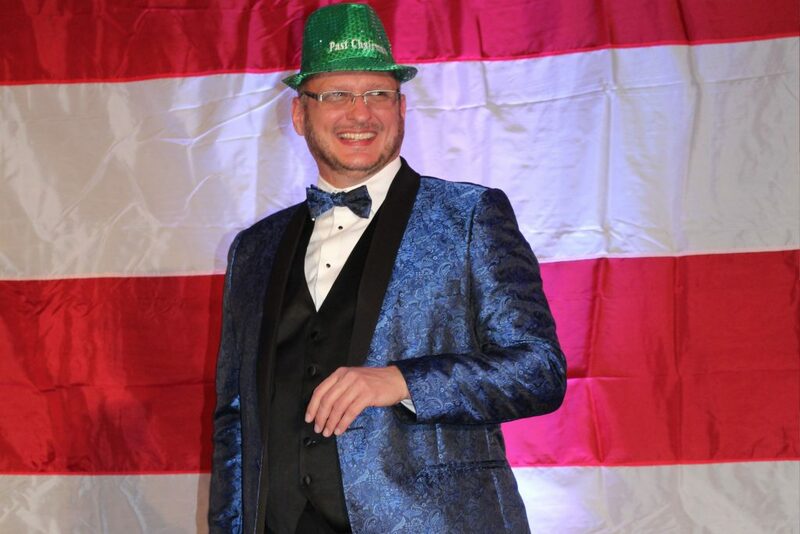 Wrapping the evening up, 2019 Chairman, Will Cramer gave his vision for the organization over the next year. 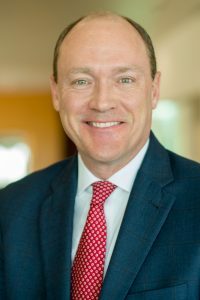 Cramer touched on the aggressive priorities for 2019, stating key objectives for the year include business restoration and retention; commercial development; business continuity and disaster planning; all while continuing to support military, work force, educational, medical, housing, tourism, planning and infrastructure improvements. 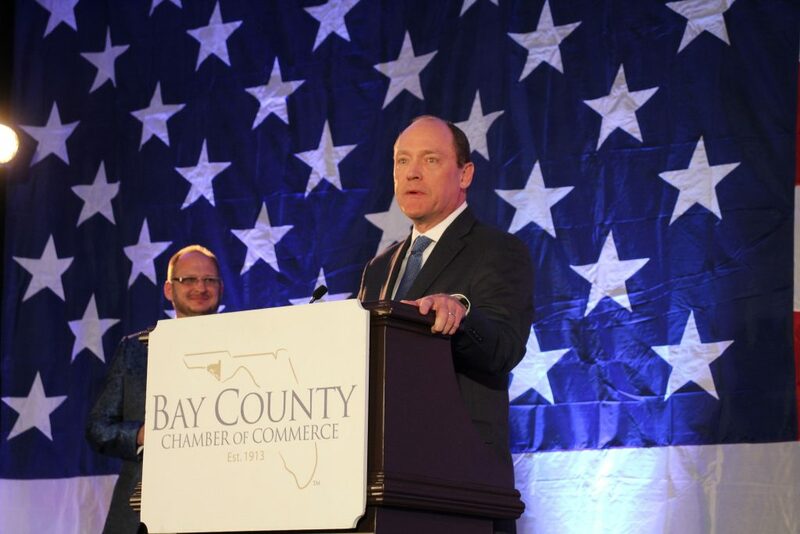 Cramer ended the evening inviting attendees to stand together with optimism and enthusiasm stating, “Together, we will build a better Bay!” The “Build a better Bay” campaign is being utilized to emphasize the need to continue efforts to redevelop our beautiful community. 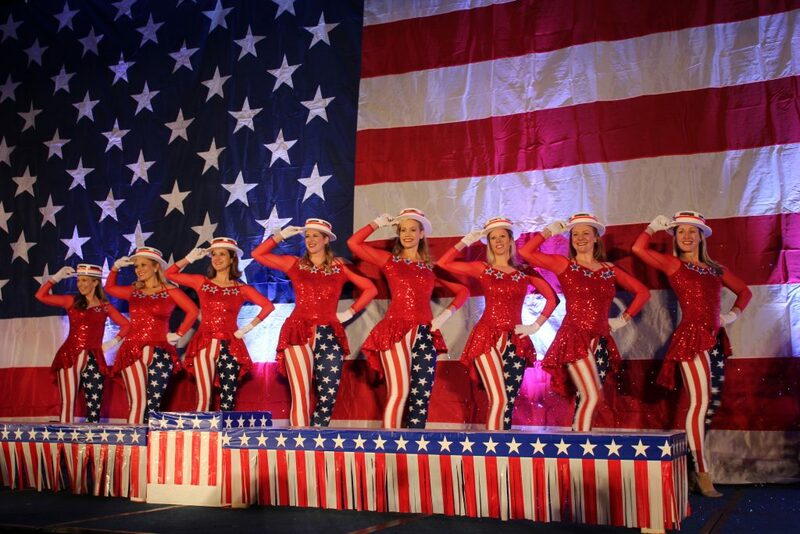 A surprise performance of dancers, presented by Toni Bense of Tonie’s Dance Workshop, wrapped the evening up in a festive and lively way. 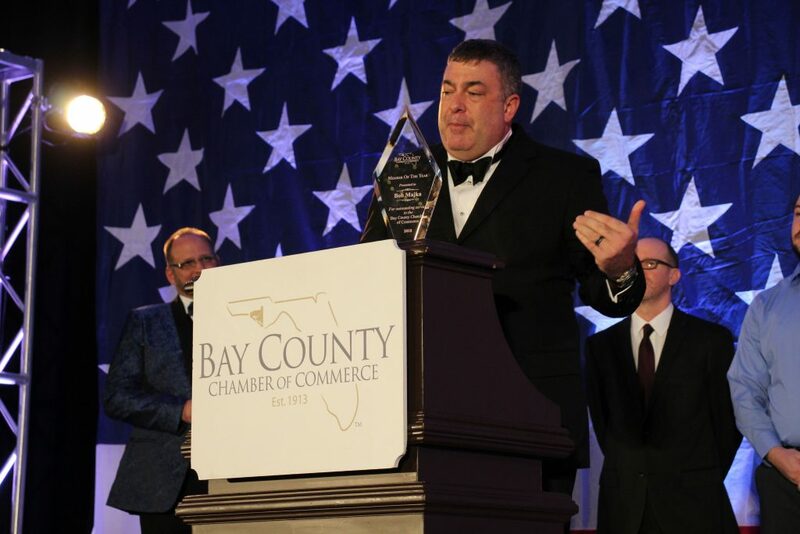 The Lauren Merriam Memorial Award is presented annually by the Bay County Chamber of Commerce to a member of the Bay County business community who best exemplifies the characteristics embodied by Lauren Merriam, a Past President of the Chamber in 1959 and the original Chairman of the Chamber’s First Friday Club. 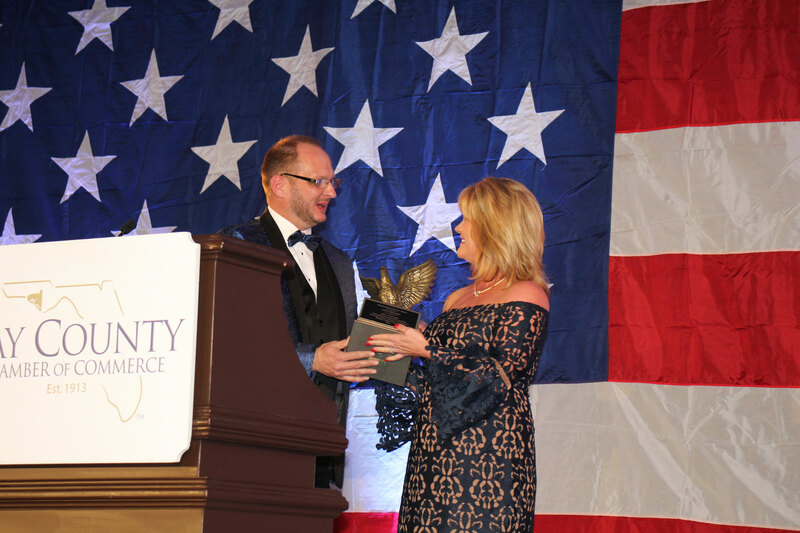 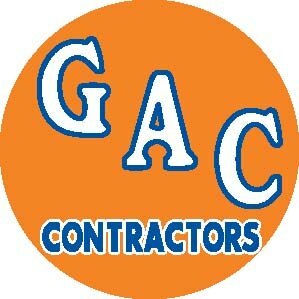 Most importantly among those characteristics are commitment to the community’s well-being, as exemplified by involvement in civic, charitable and/or endeavors contributing to the betterment of Bay County and the benefit of its citizens — and the ability not to take oneself, or one’s peers, too seriously. Merriam did a lot for our community and in the process, he enjoyed himself.